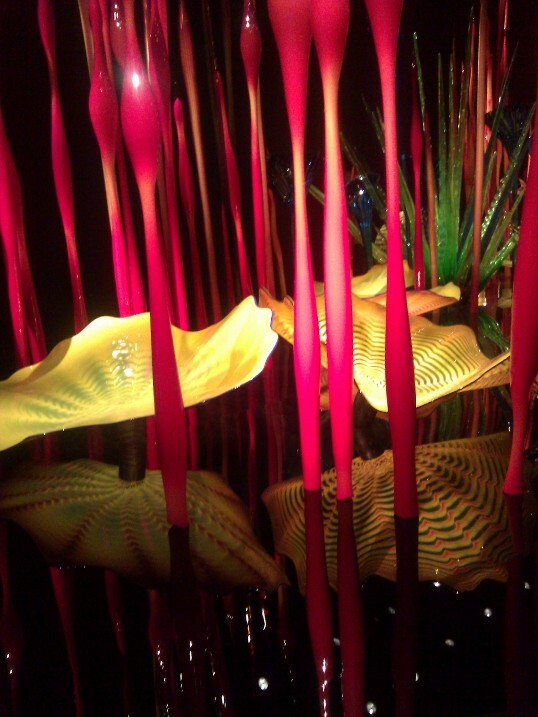 Before leaving Seattle yesterday, we were lucky enough to visit the Chihuly Garden and Glass with our friend and his dad. 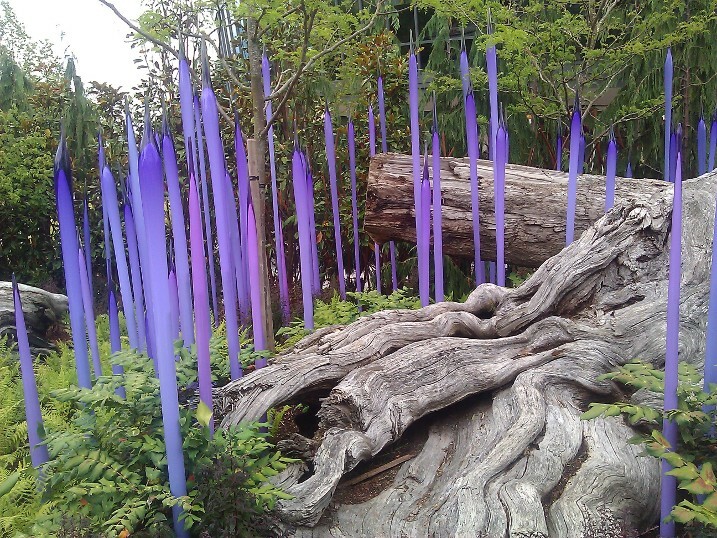 We had seen some work by Chihuly (an incredibly skilled glass blower) earlier this year, but seeing it out in the garden was really a completely different experience. 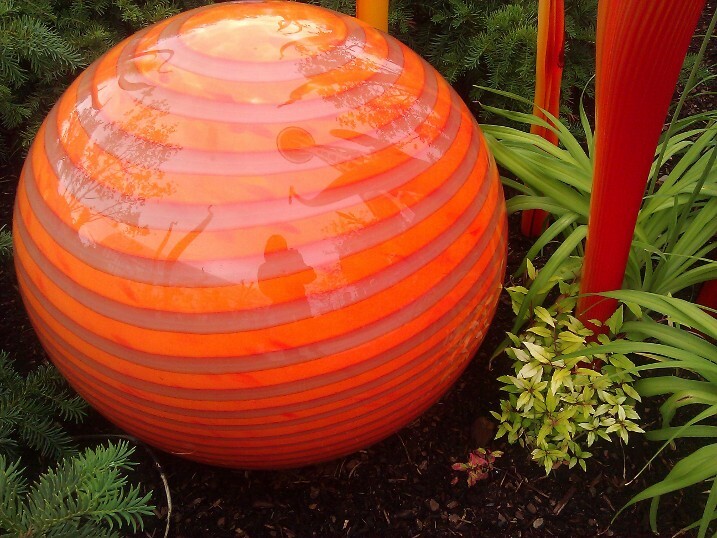 The colors were vibrant and worked harmoniously with the natural surroundings. I highly recommend you visit if you happen to be in Seattle. After the gardens, we headed to the airport where I pulled out my pastels and pen, and got to work on day 85’s piece. 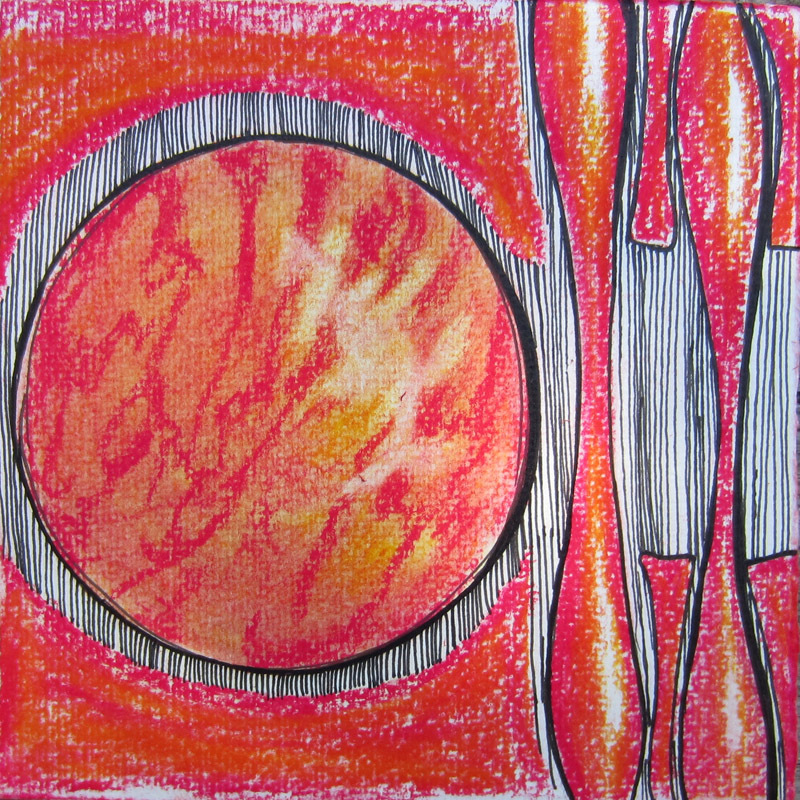 I used simple shapes and lines to create the abstracted interpretation of the colorful work I had seen. Thanks, Jesse, for taking us!